Former Port Authority chairman David Samson pleaded guilty to a single conspiracy-related count. A judge set bail at $100,000 Wednesday for a former United Airlines lobbyist charged with being the middleman in a shakedown involving the former chairman of the powerful bistate agency that controls New York City-area airports. Jamie Fox didn't enter a plea during a brief initial appearance in U.S. District Court. The U.S. attorney's office charged the former New Jersey transportation commissioner last month with conspiracy to commit bribery. The charge is punishable by a maximum prison sentence of five years. Fox and attorney Michael Critchley didn't comment on the case after the hearing. Previously, Critchley said his client would never jeopardize his reputation by engaging in illegal behavior. The U.S. attorney's office must now present the case to a grand jury for possible indictment. The office didn't comment on how long that might take. The former Port Authority chairman and Gov. 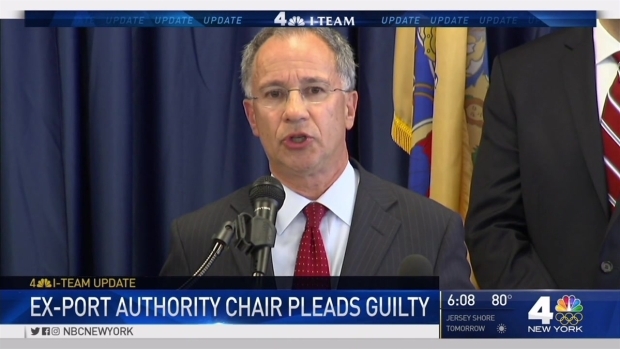 Christie ally who resigned amid an investigation into the George Washington Bridge lane-closing scandal pleaded guilty in a separate investigation involving an airline route out of Newark Airport, officials said Thursday. Jonathan Dienst reports. The government alleges the 61-year-old Fox helped then-Port Authority of New York and New Jersey chairman David Samson get a regular flight to Samson's vacation home in South Carolina when Fox was a paid consultant and lobbyist for United. Samson pleaded guilty last month to a bribery charge. Samson applied pressure on the airline by withholding a Port Authority board vote on a deal to let United build a new hangar at Newark Liberty Airport that would accommodate wide-body jets, the government contends. Chicago-based United agreed to pay a $2.25 million penalty and said it agreed to continue to enhance its compliance, anti-bribery and anti-corruption program, the U.S. attorney's office announced last month. 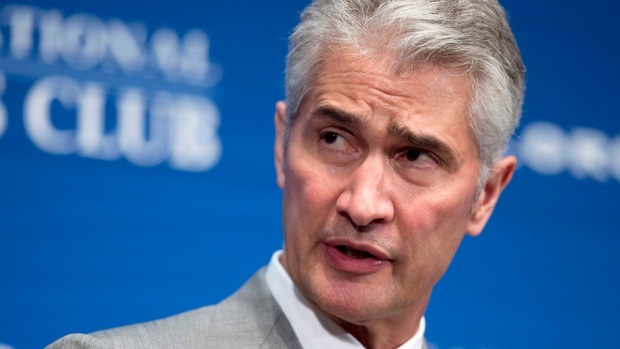 United's then-CEO, Jeff Smisek, and two other executives left the airline last year after United conducted its own investigation. None of them has been charged with any criminal wrongdoing. Both Fox and Samson were close allies of Republican Gov. Chris Christie. Fox, a Democrat, went on to work for Christie as the state's transportation commissioner after ending his work for United. Samson, a former state attorney general, was considered a mentor to Christie and headed his transition team after Christie was elected governor in 2009. The chairman and CEO of United Airlines is stepping down in connection with an investigation into the airline's dealings with the former chairman of the agency that operates New York-area airports. Christie has praised both men publicly since their arrest, calling Fox "a very worthwhile and worthy public servant" who "has been convicted of absolutely nothing." Christie said last month he was saddened by Samson's guilty plea but called Samson "an extraordinary person" who "obviously had a lapse in judgment." According to the criminal complaint, Fox began lobbying United to resurrect the direct flight from Newark to Columbia, South Carolina in early 2011, shortly after Samson was named Port Authority chairman. United had discontinued the money-losing route in 2009. In the fall of 2011, the complaint alleges, Samson removed an item from the Port Authority's board meeting agenda regarding United's hangar deal. After the board eventually voted to approve the deal a few months later, United restarted the flights, which Samson and others allegedly referred to as "the Chairman's flight." The airline discontinued the flights shortly after Samson resigned in early 2014.